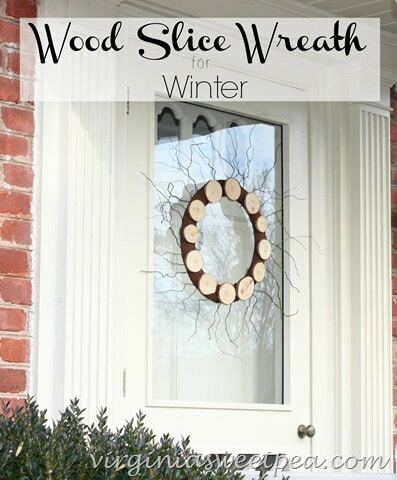 What wreath to use on the front door for winter isn’t always an easy decision. 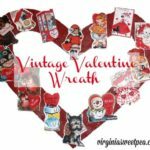 For the past several years, I used a sweater wreath until February when it was time for Valentine decor. 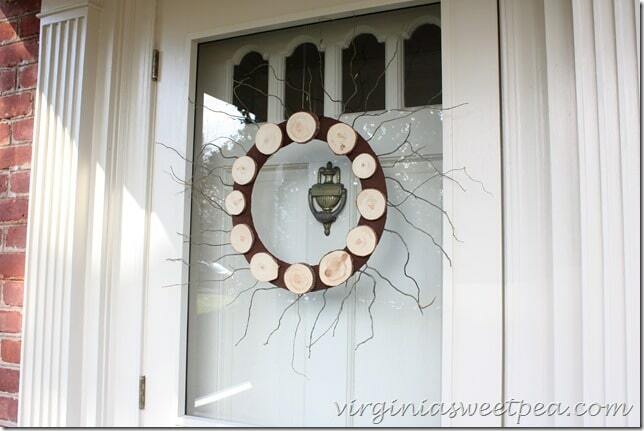 This year our front door is adorned with a wood slice wreath crafted from what was once a science supply. Most of you know that I teach middle school science. 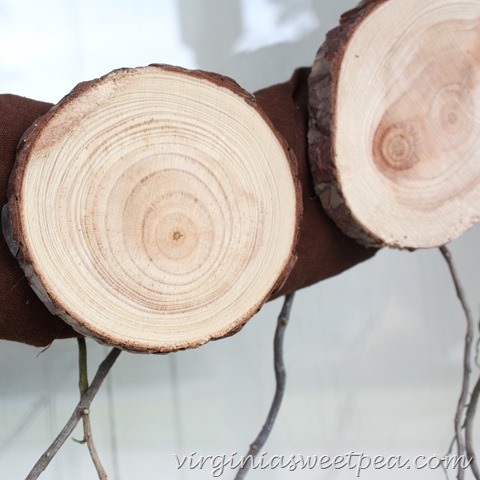 The original use for these wood slices was to teach kids about counting rings, why the rings have two colors, and why some years the rings are thicker than others. This content is no longer taught, so rather than have a bag of wood slices clutter a cabinet in my room, I used them to make a wreath. 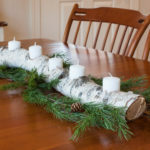 To make the wood slice wreath, I wrapped a ‘>wire wreath form with batting and then covered the batting with strips of brown fabric that I glued in place with a glue gun. 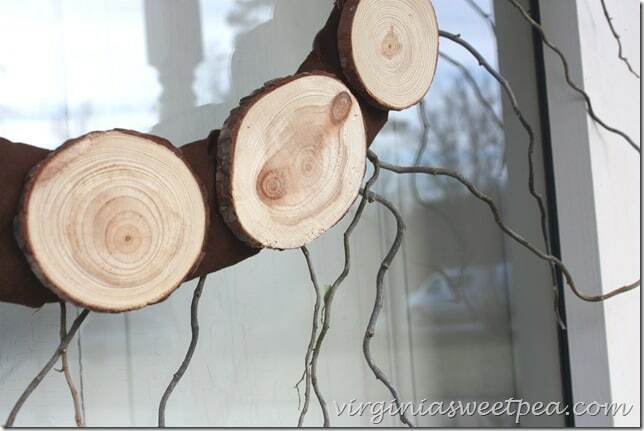 The ‘>wood slices were then added, also with the glue gun. The wreath looked a bit plain, so I glued pieces of ‘> Curly Willow from my back yard to the back of the wreath. 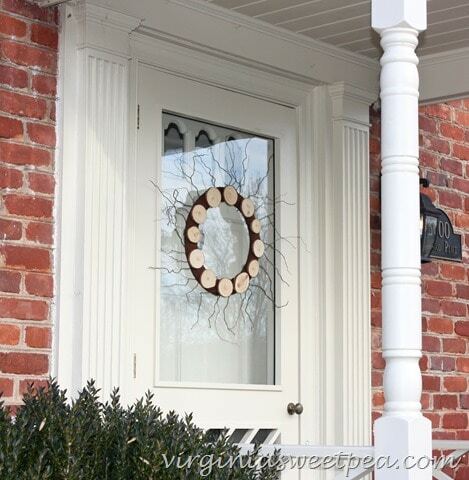 I really dislike a naked front door and am so glad to have a new wreath to use for winter. Isn’t the growth pattern on the central wood slice interesting? This wreath is very light weight. It’s hanging by fishing line attached to a screw eye on the back side of the door and is also held in place with a few suction cups. 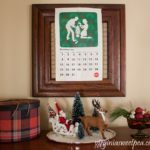 What is on your door for January? I would love to hear about it! This post contains affiliate links which means that if you make a purchase I will get a small commission. 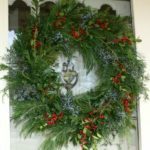 I wish your wreath was on my door for January! 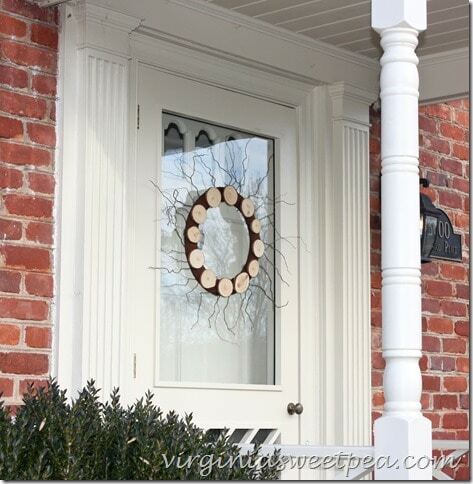 I have nothing on our door right now….and it’s a good thing considering the storms we’ve had the past two weeks! 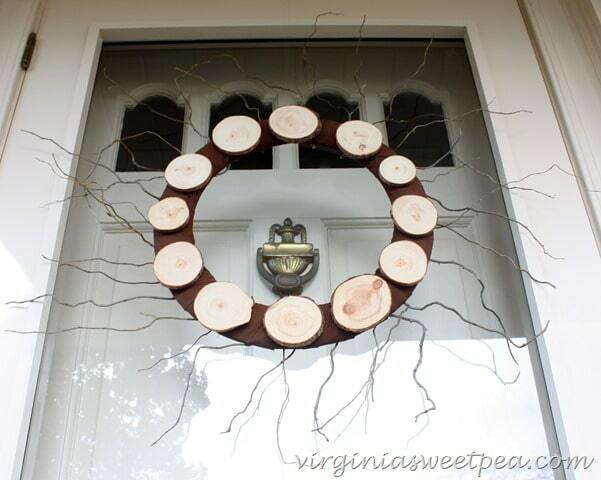 Very cute wreath Paula….it’s perfect for January! The weather has been crazy, hasn’t it Ricki Jill? I hope it settles down soon in your area. That curly willow really sets it off! 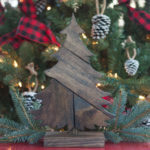 It’s so pretty and rustic – perfect for winter. 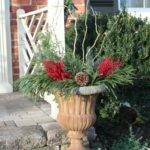 When I removed my Christmas wreath I was wondering what I could use until Valentine’s Day. This is perfect! Actually, I would have loved to be in your class to learn more about the rings/growth pattern in the wood slices. Great idea! 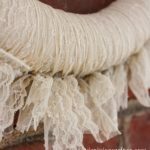 Hi Paula…shared your page this morning on Denise Designed and shared this post as well! Love the wreath. Thanks for being so awesome. 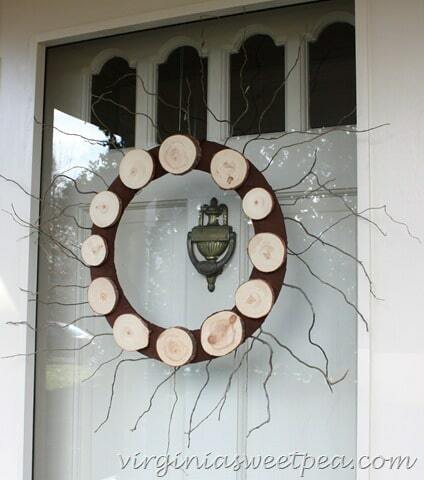 What a unique idea for a wreath! I love it! 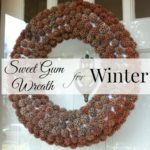 The perfect winter wreath!